5/13/19 Update. Perhaps through multiple-syncs, 95% of contacts are again correct. I renewed for the next year based on the corrections and the consistent updates. It’s important to note that I have 3 data/contact sources with many more than average contacts. 5 stars. Was working as it should then mid-week contacts are a jumble, auto merging different contacts data, and not updating corrections. 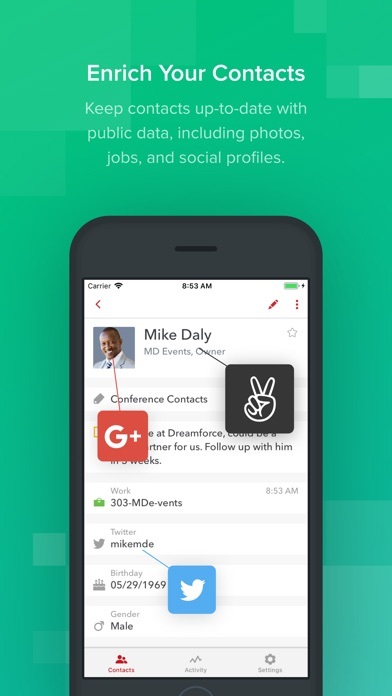 My 3 contact lists and this app each list different info. Will hang on for a few more days in hopes for an update; otherwise, delete/ cancel/ request refund. Created thousands of duplicates that I now have to clean up. Appears to not play well with outlook. This is the premium version for $10/month. Deleting the app, would be zero stars if that was an option. Negative stars, more like a black hole. DO NOT BUY OR EVEN TRY. A real piece of garbage!!!! Worst of all the apps I have ever used. Dumping this app!!! Works very well and convenient. Makes my life a little easier. So I have been a premium user of FullContact since June of 2016. I will not be renewing. The app is not stable records are updated with incorrect information, the duplicate finder doesn't work, records randomly duplicate and when I use the merge feature the duplicate return. I have contacted tech support, but that's a waste of time, and they don't respond timely. 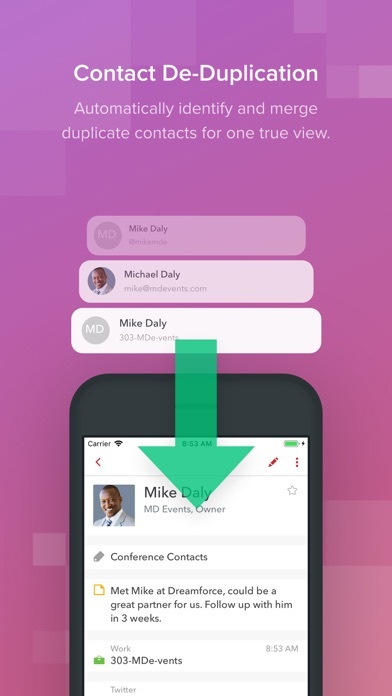 FullContact is the only way to manage Contacts. 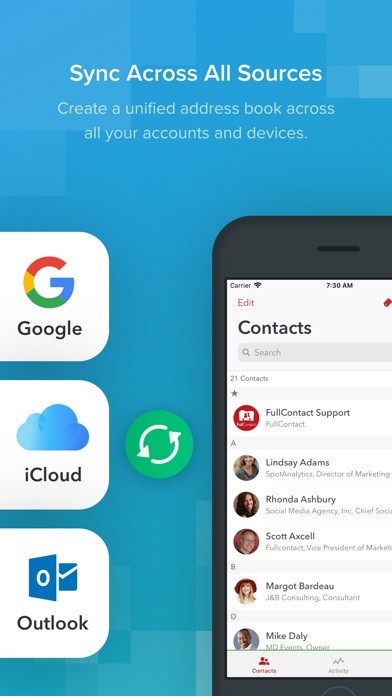 I would never go back to Apple Contacts or Google contacts. Strongly strongly recommend. 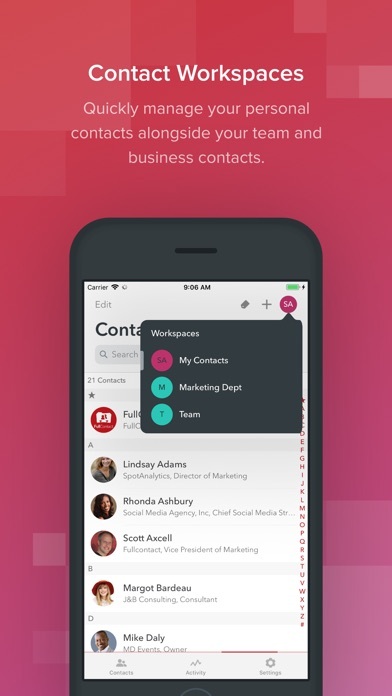 So easy to get on top of contacts! 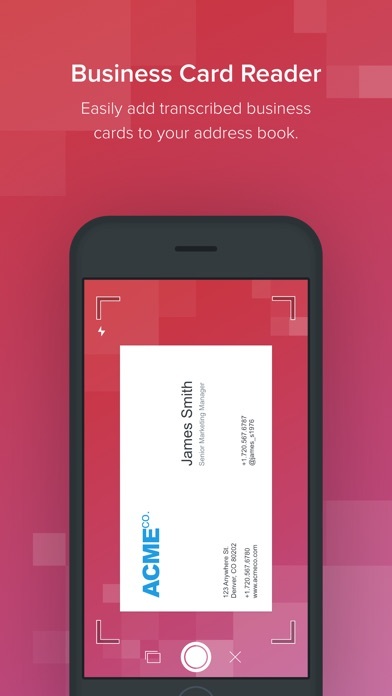 I’d silly enough, put off processing stacks of card contacts.... and this makes it super easy to catch up! Do in batches and assign tags that help you sort your contacts by topic groups. A huge time saver! Buyer beware. This app is crap. Unless you wish for your contacts to become disorganized, deleted, or otherwise corrupted, please do not use this app. As mentioned by others, there is zero support for the product that is of any use. The instructions provided are inaccurate and do not give the promised results. The experience has caused such a tremendous amount of damage to my small business that I have asked the company to help me revert my records to their original state. I also requested a full-refund, but as of yet they have refused it. I will consider other legal remedies against the company. I will also contact Apple to express my concern.